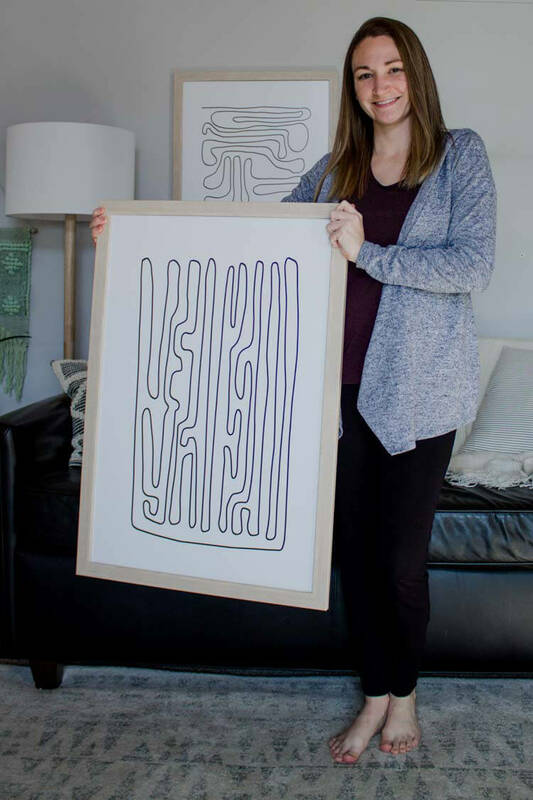 Printing custom art seems like it would be easy enough, but it can actually be quite the process. 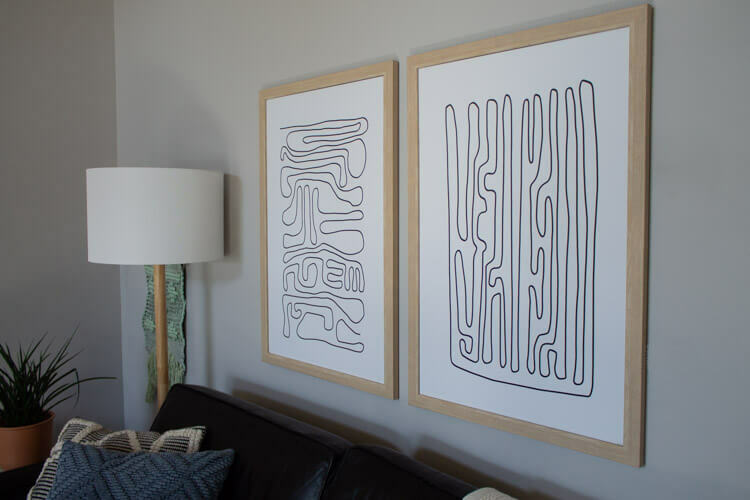 You have to choose the art, find a place to have it printed, find the right type of frame in the right size and make sure it’s ready for hanging. I’ve ran into issues with all of those steps at some point. 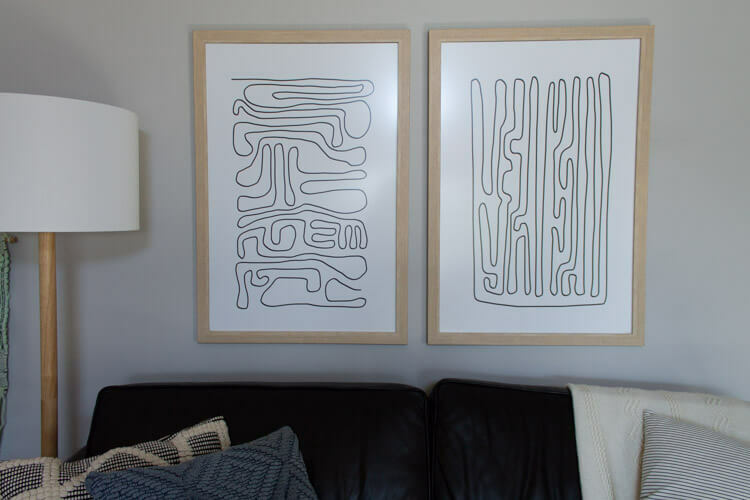 So I’m glad I’ve finally found the easiest way to frame wall art with Frame It Easy. This post is sponsored by Frame It Easy, but all content and opinions are my own. One of my favorite places to find art is on Etsy. Almost all the art in my home is from there. But like I said, sometimes it’s quite the process to go from finding something I like to actually displaying it in my home. I used to have two shelves where these frames are now, but a few weeks ago I decided I was ready for a change. 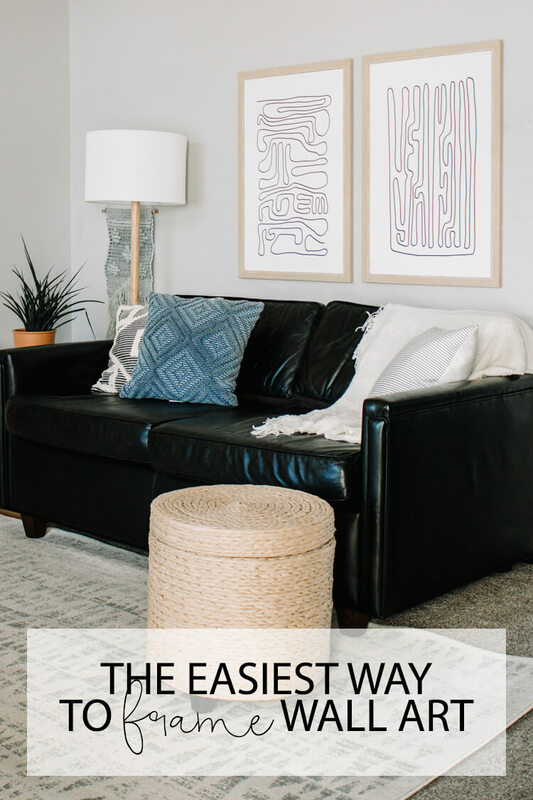 I picked out this black and white abstract art and knew it would be perfect for the space. Then I gave Frame It Easy a try and I don’t think I’ll go back to doing all those steps separately again. It was so convenient. 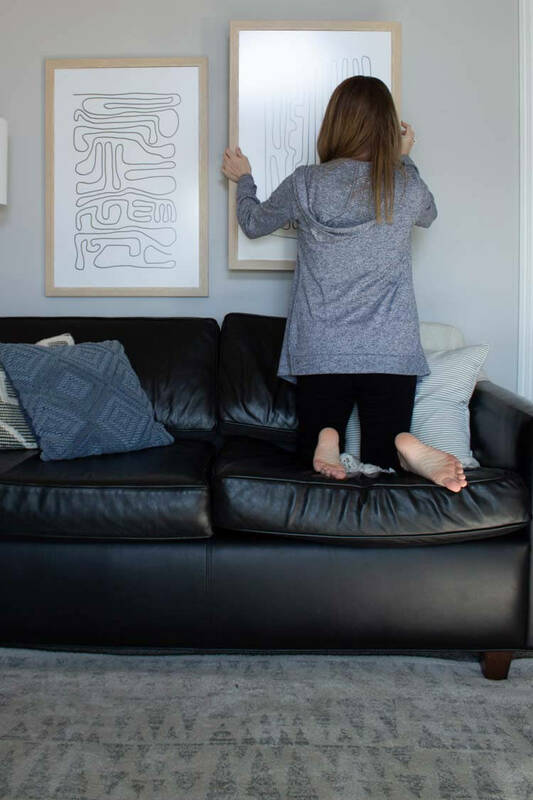 Frame It Easy is an online custom framing company that lets you upload your art to their website, pick your frame and ships the entire thing straight to your door. It’s super easy to navigate – you can start building your frames on their homepage. They have about every type of frame you can imagine. You can also customize the frame to fit your art perfectly, which is super convenient. It took me about 10 minutes to place my order, and then I just waited for it to show up at my door a week later. I typically spend way more than a week trying to get all the moving parts of my previous process together. I ordered two 20×30″ prints in the honey wood color. The walls in our living room are tall and I needed something that would fit the scale of the room well. They are so perfect. They have a foam backing so the art is super easy to replace if I ever want to. The quality of the print is amazing and I’m so glad I went with a non-glare cover. They actually don’t have glass as an option for shipping reasons, but that’s fine with me. Less breakable stuff with kids is never a bad thing. My package also came with all the hardware for hanging the frames and the whole process was really seamless. I actually refreshed this entire space along with these prints and it all turned out so good! This art was the perfect addition to this room. I know I’m going to get a lot of use out of these good quality frames for years to come. 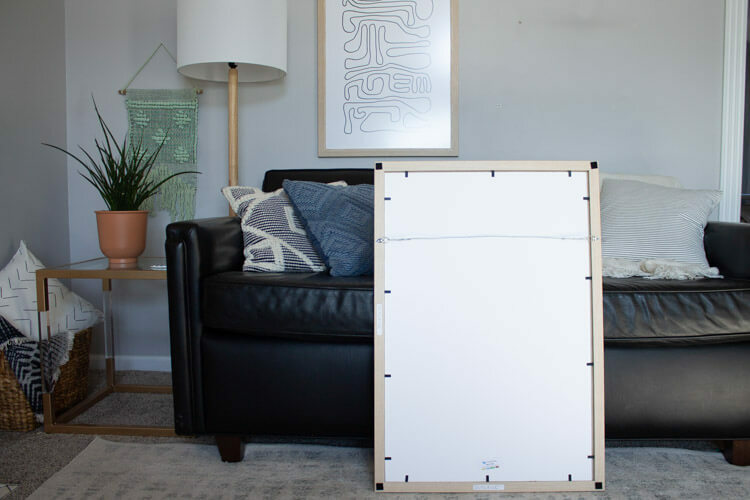 I cannot even imagine how easy this service would make creating a gallery wall. I’m so glad people are coming up with these convenient services. As a mom of two little kids, it’s life saving. And I’m always looking for ways to do things more efficiently. One thing is for sure, Frame It Easy is the perfect name for the company that provides the easiest way to frame wall art!